On this page you will find full details of our school admissions policy, including our criteria for admissions, how to apply for a place at our school and our oversubscription criteria. 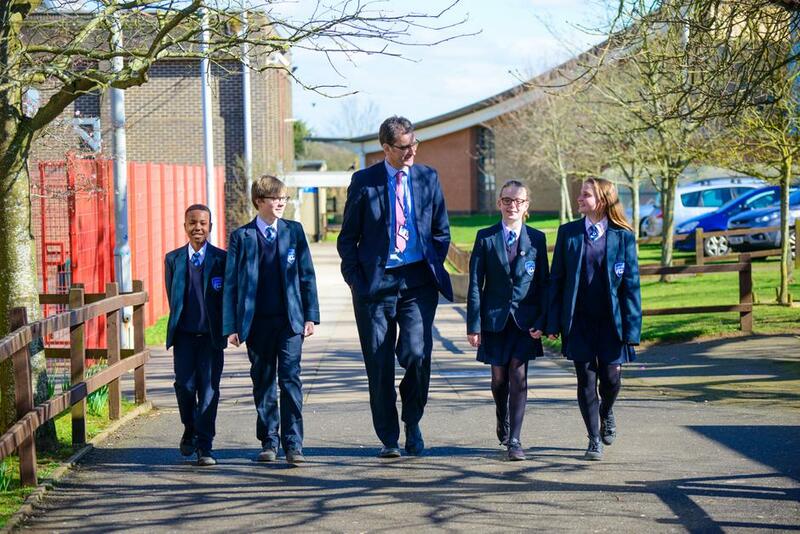 You will also find information about how you can find out more about our admissions policy and how to appeal if you are unhappy with the school place you are offered for your child. Faringdon Community College is a comprehensive school and we are committed to the highest of standards in all aspects of our work and the attainment of our students. We believe in equality of opportunity and do not select students according to ability. March 2019 - start considering late applications and waiting lists. To apply after 31st October 2018, you need to complete a secondary application form as soon as possible. You should also explain why you were unable to make the application on time. If you are unhappy with the place you have been offered, you can appeal this through the Admissions Appeals process, via Oxfordshire County Council. Further details are available on their website. Each year we invite Year 6 parents from our feeder schools to attend an Open Evening in October where they have an opportunity to look around the College and talk to staff. This is followed by a week of 'The College In Action' where there is an opportunity for a guided tour of the College during a normal working morning and to talk to students in class. During September/October we organise school visits by Year 6 students. By 31st October 2018 Admission forms have to be returned to OCC. Welcome letters from FCC outlining activities to support smooth transfer. Transfer documents to Primary Schools. 9 and 10 July 2019 - scheduled Year 6 visit to experience FCC. On starting, new students will be met at reception by the relevant form tutor, Head of Year or a member of the tutor group. They will be assigned to a student to ‘shadow’ for the first few days enabling them to get their bearings before an individual timetable is finalised and issued. A student planner will be provided which lists all of the college rules and expectations and a settling in checklist will be provided.